Young reality star and actor Messiah Harris is looking to expand his career at an early age. 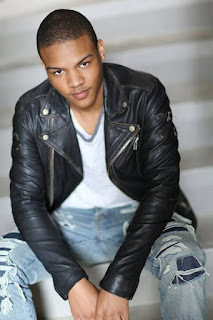 Messiah Harris, the oldest son of T.I. will star in the upcoming drama, Sons 2 The Grave, a film that is emotional and gritty. Outside of acting, Harris has appeared numerous times on the reality show T.I. and Tiny: The Family Hustle. Sons 2 The Grave was written and produced by Lynne Stoltz of Have Faith Productions and directed by Mykelti Williamson (Forrest Gump, Con Air, Heat, 24, Justified and Nashville). Some of the actors include Darrin Dewitt Henson, Trevor Jackson, Justin Martin, Marie Howell, Demetria McKinney, and Brad James. Here is what Messiah Harris had to share with the Consciousness Magazine readers about his acting debut and experience as an upcoming actor. Tocarra Eldridge: Tell us a little about your character in the new film Sons 2 The Grave. Messiah Harris: My character’s name would be Jermaine, the little brother of the young man who isn’t keeping his business correct with the protagonist of the story. Tocarra: This is your first acting debut. What has this experience been like for you? Messiah: It’s a very good experience, especially for somebody who really wants to do it. I learned a lot from the cast members, the staff and everybody who was helping with the production of this film. Tocarra: What attracted you to want to play this role? Messiah: Jermaine is a really kind of serious, quiet, laid-back kinda guy. I can see myself putting my all into that because that is me every day. So I felt it would be a very good and comfortable start for me. I didn’t have to bend and flex my abilities too much; I just had to do what I had to do. Tocarra: Was there a major difference in acting on film as oppose to being in a reality show? Messiah: Yes. There is a severe big difference. In reality, you are not really obligated to do anything, but with acting there are guidelines you have to follow. There are a lot of things that you should keep in mind while acting and trying to say the words on the script. And you don’t want to just say the words on the script first of all, you really want to put yourself in the position that your character is in. It’s a lot more complicated I would say. Tocarra: At 15 years old making your acting debut and being on one of the biggest reality shows on TV, what’s next for Messiah Harris? Messiah: M.H. is currently just waiting for the next opportunity… the next move. Tocarra: Do you anticipate acting in more films in the future? Messiah: I can definitely see myself doing more films. This is something I really want to do. I feel real comfortable doing it. It seems like a good way of getting myself out there. Tocarra: In regards to acting did you receive any advice from you father T.I.? Messiah: As far as advice, he has given me a lot… study, put your all into it. He gave me a lot of things to consider while on the set. Tocarra: Outside of the advice that your father gave you, do you have any advice that you would like to share with up and coming actors or those who may desire to be in the industry? Messiah: Yes, I do. If acting is really what you want to do, and you can see yourself doing it in the future, don’t give up what you’re doing. Even if it’s the first project you did and you thought you could do better, don’t let that bring you down. There are more opportunities in the future. Keep going at it! Messiah: No, I think what you’ve asked was perfect… good enough for me. Tocarra: Alright, thank you so much for your time Messiah!